I received an audiobook copy of this through Audiofile Sync's summer reading for teens program absolutely free of charge with no strings attached. This is my honest review. I've got to start by saying that when I first started listening to this, I didn't realize that it was non-fiction. Maybe the title should have given that away, but for me, it didn't. In spite of that, I found this book riveting. It didn't feel like I was listening to a history book, but rather like a friend was dishing the latest gossip over a bottle of wine. I felt connected to the events, almost like I might be the next accused. And if you ask me, that's the best way to learn about history; feeling like you're immersed in it yourself. Now I will admit that I may have enjoyed this book more because I listened to the audio than I would have if I'd been reading it myself. After all, this way was a bit more like watching a documentary than reading a history book, and the narrators tone may have prevented large portions of the book from coming across as dry and boring. I can't really say for sure on that score. 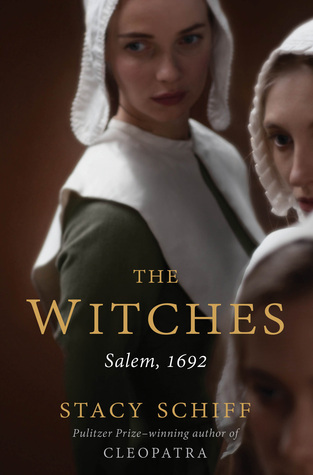 I do know that I'm even more intrigued by the Salem Witch Trials now than I was before listening to this book though, so that's got to count for something. Stacy Schiff is the author of Véra (Mrs. Vladimir Nabokov), winner of the Pulitzer Prize; Saint-Exupéry, a Pulitzer Prize finalist; and A Great Improvisation: Franklin, France, and the Birth of America, winner of the George Washington Book Prize and the Ambassador Book Award. Schiff has received fellowships from the Guggenheim Foundation, the National Endowment for the Humanities, and the Center for Scholars and Writers at the New York Public Library. The recipient of an Academy Award in Literature from the American Academy of Arts and Letters, she lives in New York City.